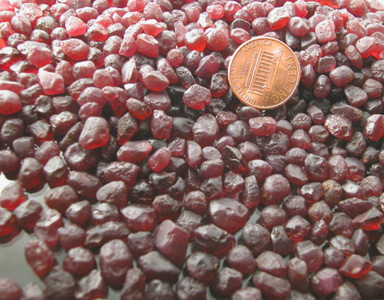 Mine Direct Nigerian Rhodolite Garnet Facet & Cab Rough! Hot Lot! 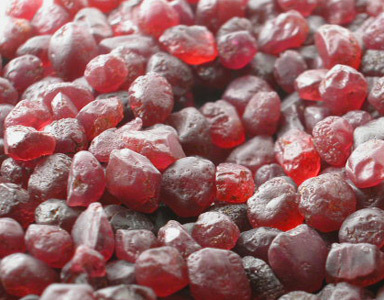 Cranberry to Pinkish Red Nigerian Rhodolite Cabbing and Faceting Rough! 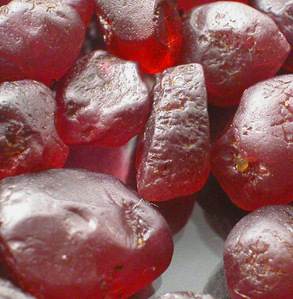 The bulk of this material looks to be a Cranberry Red; however, roughly 1/4th or so is a nice Pinkish Red. 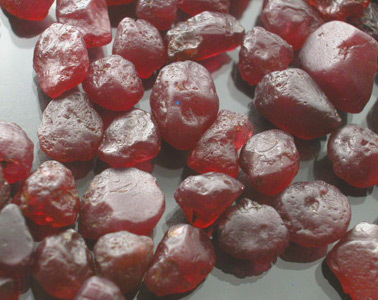 The material is roughly 10%+ facet grade; however, this lot is being sold as cabbing rough. 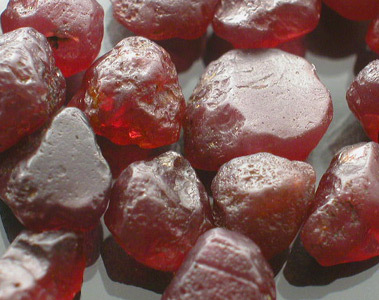 There are some nice pieces in here that should face up eye-clean or better; however, most stones tend to be very slightly to moderately included. 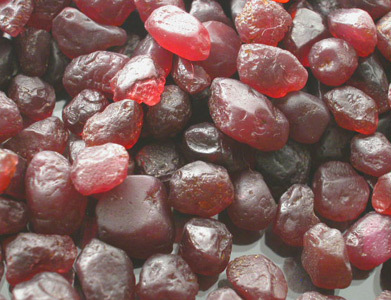 Most of these stones look to be nice nodules and there aren't too many stones in here that are overly included and/or opaque. This is high grade cabbing material at the least and we're confident you will have some fun with it. The lot is priced to sell so don't miss out. 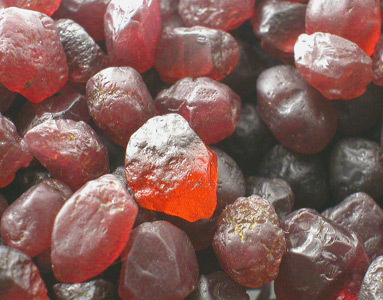 Nigerian and Namibian Mandarin Garnet deposits are fast being depleted with most of the earlier larger material gone already. Initial finds were alluvial in nature and as those sources are depleted more work will be required to unearth these treasures at the primary deposits. This in the end will boil down to higher prices and sporadic production.